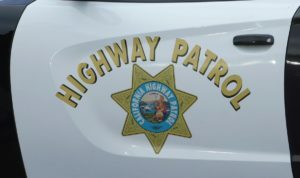 LAKE ELSINORE–The driver of a black sedan fatally struck a California Highway Patrol motorcycle officer on southbound Interstate 15 near Lake Elsinore in Riverside County CHP said. The officer was identified as Sergeant Steve Licon of the Riverside CHP area. He was airlifted to a local hospital where he was pronounced dead. The incident occurred shortly before 4:30 p.m. on the freeway north of Nichols Road. All southbound lanes were temporarily shut down during the investigation. The driver was allegedly driving recklessly when he struck the officer, according to authorities. Sergeant Licon served with the CHP in the Riverside, Baldwin Park and Santa Ana Areas over his distinguished 28-year career. He is survived by his wife Ann, daughter Marissa and step-daughter Kelly. In honor of Sergeant Licon, Acting Governor Kounalakis has ordered Capitol flags to be flown at half-staff.